National Public Safety Telecommunications Week is April 14 – 20, 2019. The Ventura County Sheriff’s Office is honoring the public safety dispatchers who serve as the lifeline between people in need and vital law enforcement services. These public safety dispatchers have dedicated their careers to providing superior service to the residents of Ventura County. In many cases, the dispatcher can make the difference between life and death. In 2018, the public safety dispatchers and supervisors at the Ventura County Sheriff’s Office answered more than 355,000 telephone calls, including 106,000 9-1-1 calls. Historically, those numbers grow each year. Day in, and day out, hundreds of people depend on the skill, expertise and commitment of the dispatchers who work in public safety communications. These team members help save countless lives by handling emergency telephone calls, dispatching law enforcement resources, and providing moral support to people in distress. Their normal workday is nothing but abnormal in so many ways. Public safety dispatchers must undergo a rigorous testing and background process before being hired. After they have been hired, new dispatchers must attend a three-week Basic Dispatcher Course that is certified by the Commission on Peace Officer Standards and Training (POST). Typically, their training also includes 2 additional weeks of classroom training and between 6 – 12 months of on-the-job training before the new dispatcher is allowed to work independently. 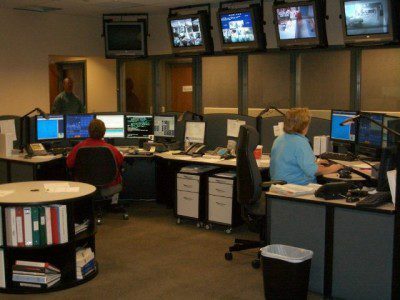 Even then, approximately 50% of the dispatchers hired are not able to successfully complete the training program due to the unique demands and stress of the job. Within the Ventura County Sheriff’s Office, we are celebrating the valuable contributions that our public safety dispatchers make on a daily basis. We are incredibly fortunate to have such talented and dedicated professionals who work so hard to serve the public and our deputies. Please join us in thanking them for doing such an excellent job at fulfilling a critical role in public safety.